This amazing, perfectly round center pier is a remarkable engineering and architectural feat. Comprised of twenty-four 2-3 ton pie-shaped radius granite wedges. Each 2â€™ high circular course was interfaced with 3â€™-4â€™ X 8â€™L landing type radius pieces, weighing approx. 4 tons ea. At our granite farm, we are re-assembling complete 2â€™H X 26â€™ diameter courses â€“ setting them up as historic elevated terraces and patios. 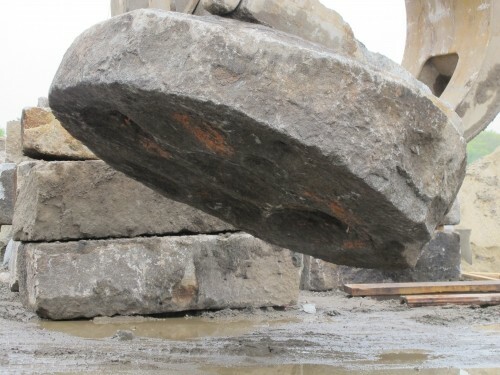 We also rescued the 8â€™ diameter X 2â€™ thick, 7 ton granite turntable disc that capped the center pier. The drawbridge mechanism was attached to this monstrosity. 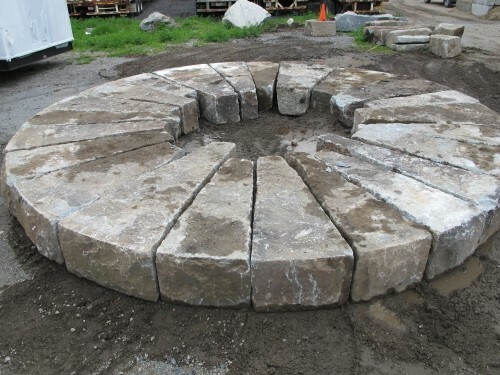 With these, one would â€¦ add A LOT of history to their hardscape.